Carnaval, the river Amazon, football, Copacabana, The Girl from Ipanema... Brazil is an iconic destination fizzing with energy and high spirits. But this vast country is so much more than its glorious, endless beaches and exuberant festivals - more even than the biggest rainforest in the world. The sheer size of Brazil and the diversity of its landscape, culture and people defy a neat synopsis. Highlights must include the magnificent Iguassu falls; the steamy Amazon jungle with its incredible variety of tropical plants and animals; and the great coastal city of Rio de Janeiro, where the party never ends - reaching fever pitch during carnival week. The Pantanal wetlands are superb for wildlife watching, home to such fabulous creatures as caimans, tapirs, anteaters, capybaras and hyacinth macaws. 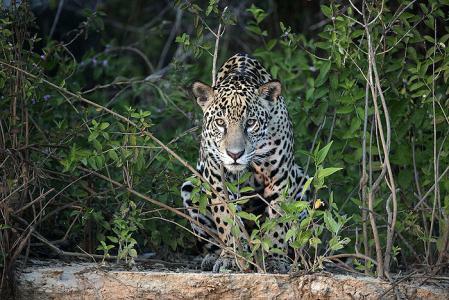 If you’re lucky, you might even see a jaguar. On the east coast the Atlantic rainforest protects marmosets, tamarins, and elusive ocelots, and ancient trade routes lead towards cobbled colonial towns and abandoned gold and diamond mines. Bahia and the north-east is the place to discover Afro-Brazilian culture - from capoeira martial arts and candomblé religious ceremonies to the hip-swinging rhythms of the samba and bossa nova. Cities such as São Luis, Salvador and Belém have some of the best-preserved colonial buildings in South America, a reminder of the huge wealth amassed on the back of slave labour to satisfy the European obsession with sugar, tobacco and rubber. 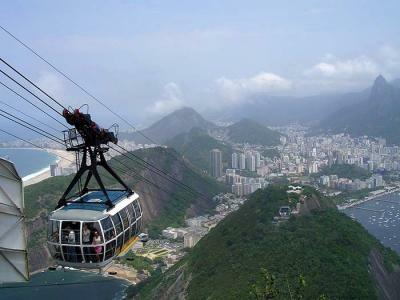 Rio de Janeiro is Brazil's cultural capital and has one of the most beautiful settings in the world and an amazing vibe. With golden beaches, forested mountains and wide lagoons, Rio is an outdoor lover's paradise with an enviable nightlife to boot. 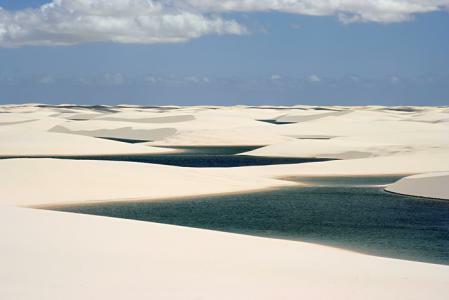 Stare across the endless dunes of Brazil's Lençois Maranhenses - 155,000 hectares of white sand, mangroves and blue, fresh-water lagoons. Trek, swim, sandboard or take a 4x4, the possibilities are as endless as the dunes themselves! Average temperatures increase from south to north, and humidity can be high especially near the coast. 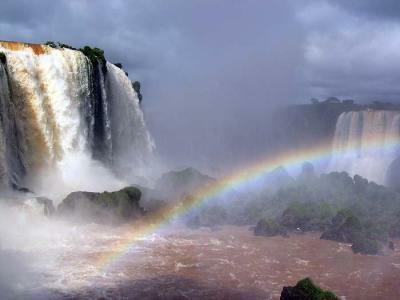 In the Amazon the wettest months are March to May, in the north-east May and June, and in the south December to March. Even in Rio it can get surprisingly cold in July and August, so for guaranteed warmth at this time head for the north-east. It is necessary to have a vaccination against yellow fever if you are planning to visit the Amazon, northern Brazil or the centre-west. Malaria tablets recommended if visiting Amazônia or areas of low-lying forest (e.g. the Pantanal). It is also worthwhile getting immunisation against hepatitis and typhoid. Take a good mosquito repellent and anti-histamine cream. Not required for most EU citizens for 90 day stays. US and Australian citizens need visas. The Real (R$). Most newspapers give the latest exchange rates and it can be worth shopping around the banks and exchange houses if you have time, both the rates and amount of commission can vary. Most hotels will also change money, though not at such good rates. Credit and cash cards are fairly widely accepted. Public telephone offices are often the best place to go for international or local calls. You pick up a ticket for a booth, make your call (dial 00 for international and 44 for the UK, leave off the zero of the town code). You pay when you have completed the call. For local calls it is cheaper to buy tokens (fichas), there are local and long-distance ones, and the telephones are usually red. They last a fixed amount of time, so were an excellent guard against inflation. Another tip: if you need to make a reverse-charge call within Brazil, dial 9 followed by the number (always include the full local code even if you are already in the area). The whole process is automated: you just have to state your name and where you are calling from when prompted. Note: Brazil has now privatised its telephone system and have introduced the most complicated system they could possibly have devised as a result. You now have to dial the Provider's code (Embratel, the main company to cover all Brazil, is 021), followed by the city code (without the leading zero). For example, to dial Rio is now 021-21 followed by the number (often printed as 0XX21). Tip: if you have a BT Chargecard then take it. You can dial 0800 890 4411 (free) from most telephones and will be connected straight to the BT operator in the UK. Mainly GMT-3, except for Amazonas and Mato Grosso. Portuguese, little English is spoken away from the main tourist spots. Spanish will normally be understood, especially in the south. Traffic drives on the right, the speed limit is usually 80 km/h except on motorways (strictly enforced), and a valid UK driving licence is all that is required to drive as a tourist, provided you are at least 18. An International Licence is not strictly necessary, but there is no doubt that in remoter areas the translation and photograph do make it look a bit more official. It is said that 20% of the world's road fatalities occur in Brazil so take care: distances are large and the roads can be very monotonous. Many lorries free-wheel down hills and overtake on blind rises.